Just Say No! Then Say YES! So how do we begin to fix what’s broken? I stumbled upon the above article and invested the time to read and reflect on its contents. It captured and held my attention, convicted my soul and fired me up! Jay Goldinger and his “Food on Foot” organization is not waiting around chatting about how to address an issue in his neighborhood, it is doing something meaningful about it. We have seen the enemy who is creating our social ills. 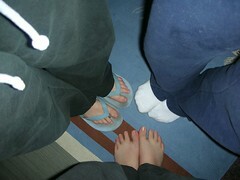 It is us. Our choices including choosing to ignore and to feel helpless to improve the situation are responsible for our current state of affairs. Many surrender their freedom at the altar of a womb to the tomb governmental nanny state. Others pin their hopes on super-ego, super hero, pseudo-leaders, who prove their human failings time after time and contribute to the sense of individual futility to clean out the filthy litter box we are choosing to live in. 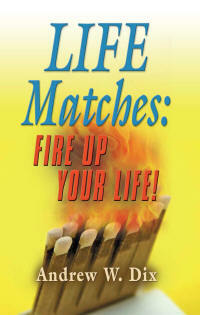 Zig Ziglar has a saying, “If it is to be, it’s up to me!” This is as true a statement today as it ever was. Have you looked in the mirror lately? Have you bought into the lie that only BIGGER GOVERNMENT can solve our big problems? You can cut and paste British Prime Minister David Cameron’s quote from above and send it via your social network. This is a spark that could ignite a powerful self-reformation movement. You can invest the time to find organizations like Food on Foot that are merging personal responsibility and accountability and not trying to perpetuate a problem for their own personal financial and power gains. Then donate your time and funds to make sure they make a meaningful difference and clean up our messes. You can give 10 percent of your income and time to such an organization that is results oriented not perpetuating it’s existence. I do. It works. Don’t be fooled by “for profit” or “for power” non-profits. You can accept your personal responsibility to be a positive change agent in your family, neighborhood and our world. Then act on it in even a small way. You can say NO to the continued moral decline, loss of human dignity, and respect for personal freedom. You can say YES for personal responsibility and mutual respect and accountability. You can make a difference! Will we stand-by whining and waiting for a political savior or will we stand up and take a stand for what we believe to be morally right and good and truth and have a civil discussion in our public square and decide what we can do about what horrifies and saddens us? Will we ask ourselves, “What can I not NOT do?” and then do something about it? Is It Time To Fire Up? Is the sand getting in your eyes from where your head has been buried too long? Are you living the excuse that you are only one person and cannot make a difference? Are we waiting on someone else to do something while no one is doing anything and wondering why things are not improving? Just say NO to what you believe is wrong and then say YES to doing what you can with what you have to work with to try to make a difference. You may never win. The goal is to try and to never surrender into discouragement. Donating to Charity: A Guide — http://nccsdataweb.urban.org/kbfiles/541/Donor%20Guide.pdf — incorporates lessons from the Overhead Cost Study that help donors make decisions about their charitable giving. The Guide emphasizes due diligence in giving decisions, but argues that commonly used ratios may be misleading due to widespread inconsistencies in financial accounting and reporting. What are your thoughts? I welcome your comments and opinions on how you think we can make a difference. If you have any stories, please leave them in the comments box below. People often avoid uncomfortable or potentially emotional conversations. Avoiding a necessary conversation often creates a worse situation. Learning how to have a “Crucial Conversation” is a powerful skill that anyone can easily gain. 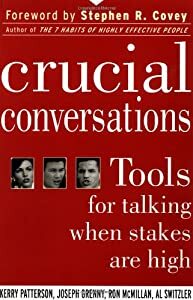 Crucial Conversations: Tools for Talking When Stakes Are High by Kerry Patterson, Joseph Grenny, Ron McMillan and Al Switzler should be required reading for all human beings. This book teaches how to have a crucial conversation and achieve what you want through having a meaningful dialogue with someone and also how to avoid getting what you do not want from that conversation. With some practice, the tactics can become second-nature and we can stop avoiding not talking about what we really want and need to talk about. Silence can be deadly when critical information is withheld or left unsaid. Lean how to have crucial conversations and get on with the dialogue. Read the book and let me know if we need to talk about it! Think of life as a six string guitar. Will just playing faster make better music? 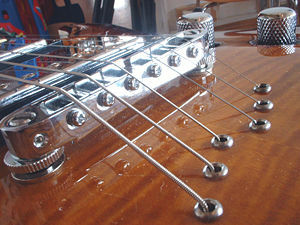 Are strings too tight or too loose? Is one or more of your strings broken? Is it’s time to tune up or at least get some lessons? Play your life’s music as only you can!